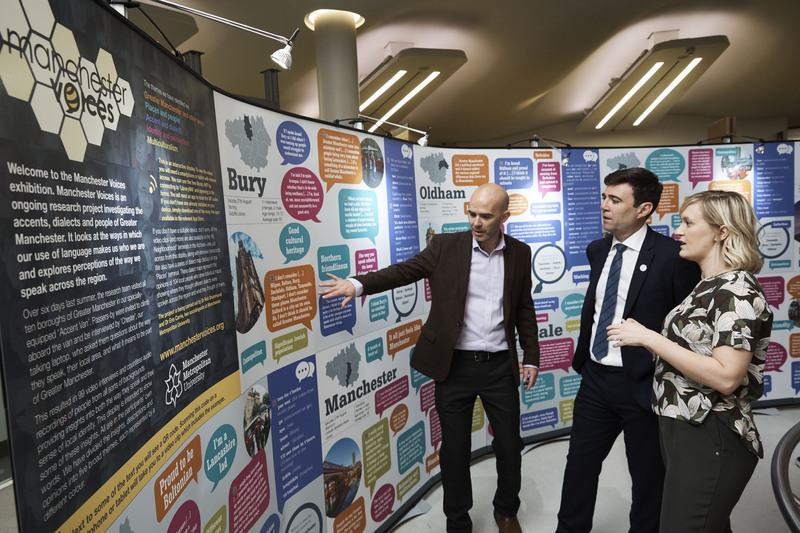 Dr Rob Drummond (MCYS) and Dr Erin Carrie have been awarded funding from the AHRC to continue their £700k project exploring the accents, dialects and identities of people in Greater Manchester, with a specific focus on young people. Manchester Voices – the most detailed and comprehensive study of Greater Manchester accents and dialects – is back and bigger than ever before. Linguists at Manchester Metropolitan University are going back on the road in their Accent Van, interviewing people across the region about the way they speak. The project, funded by the Arts and Humanities Research Council, will culminate with a permanent Manchester Central Library installation and archive celebrating the area’s rich tapestry of voices, and a public resource which will be stored in the new Manchester Poetry Library, opening at Manchester Metropolitan in 2020.